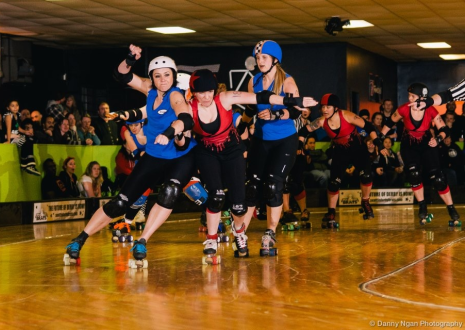 Derby History:I started skating in December 2010 with the Rodeo City Roller Girls along with Grave Dangers Catamaran. On a whim in September of 2011, I finished a bout with Rodeo City in Missoula Montana, and drove all night to make Rat City tryouts the next day. I made Rat Lab and 30 days later was drafted to the Sockit Wenches. In 2013, I tried out for the All Stars and made Rain of Terror.Birthdate: Groundhog Day (it happens over and over every year)Position: All of them. Injuries: A jammed finger and few bruises. Nothing to complain about.